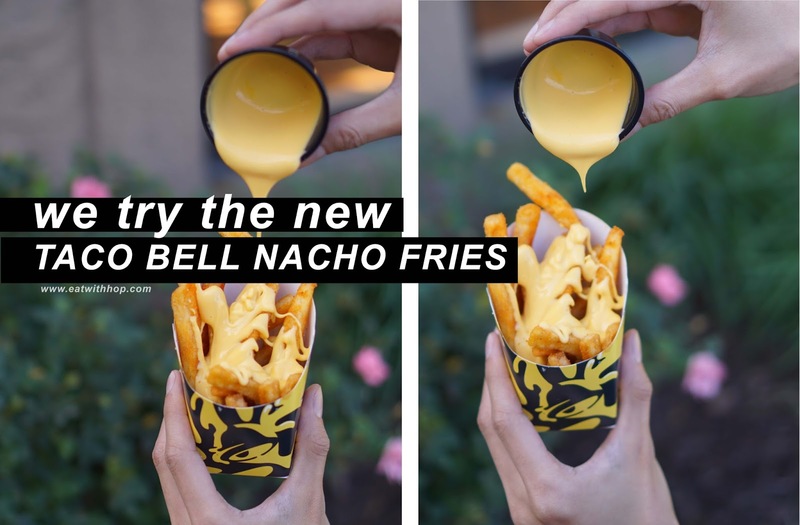 Taco Bell Now Has $1 Nacho Fries For a Limited Time - Here's Our Verdict - EAT WITH HOP! Taco Bell has fries now?! I was incredibly curious on how these would taste, especially because it's so cheap anyway so why not try it! Kevin and I went to the local Taco Bell during our lunch break and ordered TWO ORDERS OF NACHO FRIES! How affordable! ONLY A DOLLAR!? omgahhh. Well.. let's see how the portion is though and the taste...HMMM. So each order looks like the picture above. The amount of fries is actually not that much. There are around 17 - 20 pieces each varying in sizes from long to short. However, Taco Bell sure gives a decent amount of nacho cheese dip! 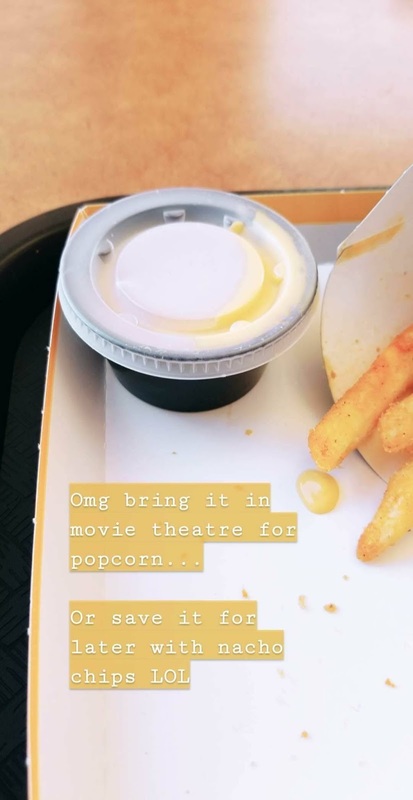 The container is almost filled all the way and is honestly a good ratio with the fries. But, the cheese dip actually tastes like the nacho cheese you would get at the carnivals or the movie theatre. If I value the nacho cheese at 50 cents and fries at 50 cents, a whole buck for this isn't too bad. I am not much of a dipper myself, so I was able to use only one nacho cheese container on BOTH of the fries orders. I was thinking of saving the unused cheese for something else... like maybe take it home and use it with my chips... LOL! I like how these fries aren't just basic fries. They are seasoned with "Mexican seasoning" which is not that salty but maybe a bit sweet. Yes! 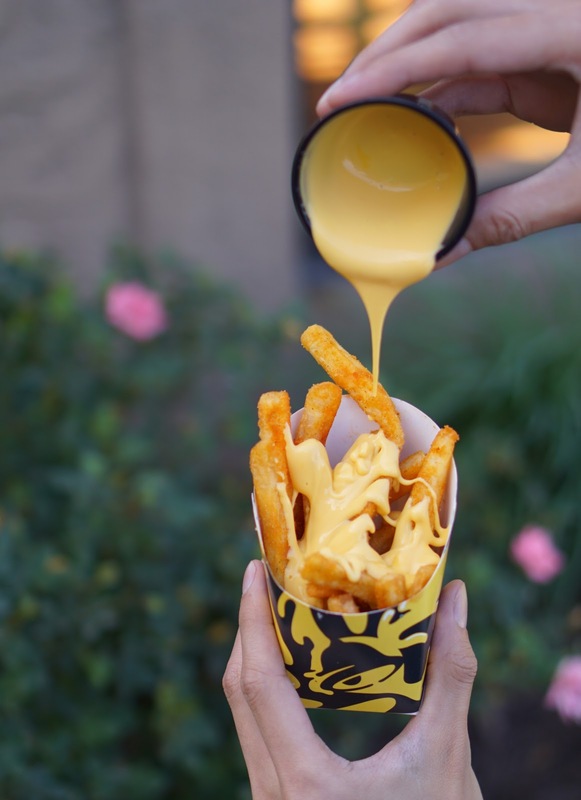 These nacho fries should be tried at least once! They are so cheap anyway so it won't hurt your wallet to just try. I love how Taco Bell is one of those few fast food chains that is always innovating their menu. I kinda miss their triangular shaped chicken (chicken nachos) and their other creations. I am excited for their future innovations!